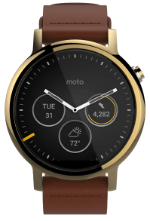 Motorola’s second generation smartwatch comes in three different models: the Moto 360 (2nd Gen) 42mm, 46mm and a Sport edition. 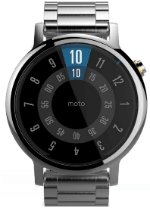 The 46mm model is mainly suited for male users of the Moto 360 (2nd Gen). This watch comes with the same 1.56-inch round design with a few changes in this iteration. From within its exterior, the watch runs on a Qualcomm Snapdragon 400 processor. The battery can last up to two days between on a single charge. 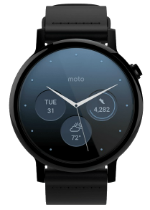 It runs the latest Android Wear version and is compatible with both iOS and Android devices. This men’s version is available in silver, gold and black color options and strap configurations. The ASUS ZenWatch and Moto 360 are two of the most innovative smartwatches running Android Wear. What's in my Bag - IFA 2015! What's in my Bag - IFA 2015! See what we bring to cover IFA 2015! The new Moto 360 has finally arrived! Hey! It's Awesome Stuff Week on YouTube, a five-day celebration of awesome stuff with reviews, rants, randomness and more from me and many more of your favorite YouTubers. We live in a world where new technology and breakthroughs in science happen each and every day across the world. Smartwatches were as much of a part of 2015 as our latest smartphones.